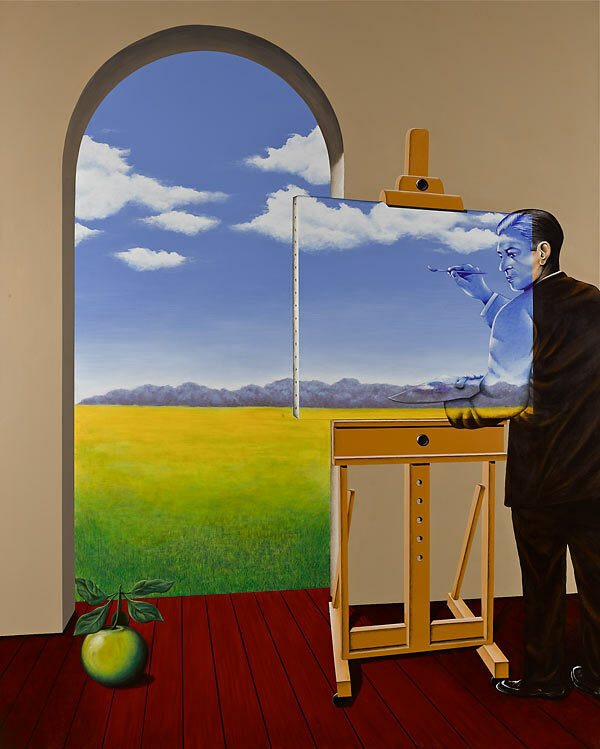 This painting is a tribute to one of Michael's favorite painters, René Magritte. Magritte broke new barriers in the world of Surrealism and this painting has many of his well known themes, presented in a new way: the playing with light sources and perspective, the horizon line which moves from the background into the foreground, Magritte's own self-portrait and the Famous Apple. The original Acrylic painting is 48" x 60". The Magritte Condition is being offered as a giclée on canvas print, with a Limited production of 195 signed and numbered pieces.